Established in 2003 Araquin Designs is an Indian owned and operated company located in University Place, Washington. We are dedicated to providing high quality, authentic Native American Art on a variety of products, at the best prices we can offer. 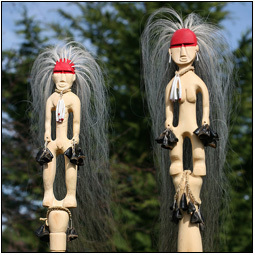 Our main artistic focus is Northwest Coastal Art, particularly Coast Salish designs. 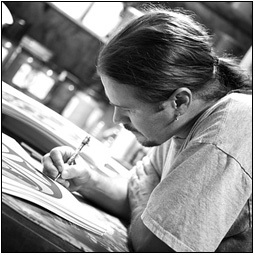 We strive to offer variety and choices therefore we also offer contemporary intertribal art and custom designs. My wife Lois and I started this business for a variety of reasons. I have been an artist for many years and have sold art in variety of mediums. As my art became more popular I was forced to raise the price for original pieces so I could keep up with demand. I was uncomfortable with this and looked for ways to produce larger numbers of high quality art while keeping the prices affordable. The solution I found was to establish my own business reproducing art on a variety of products. This allows me to control the use and prices of my work. We are constantly exploring new products and new designs, so keep checking back for updates or join our mailing list. Thank you for making our site part of your day. Thank you very much for stopping by and please make the rest of your day a good one!